Anniversary―an act of memory is a performance series in 60 acts of solo, collective and multi-lingual recitations from memory of the entire Universal Declaration of Human Rights (UDHR) by Monica Ross and Co-Recitors embodying a struggle for personal and public memory and the attainment of human rights as a continual process of individual and collective negotiation and re-iteration. 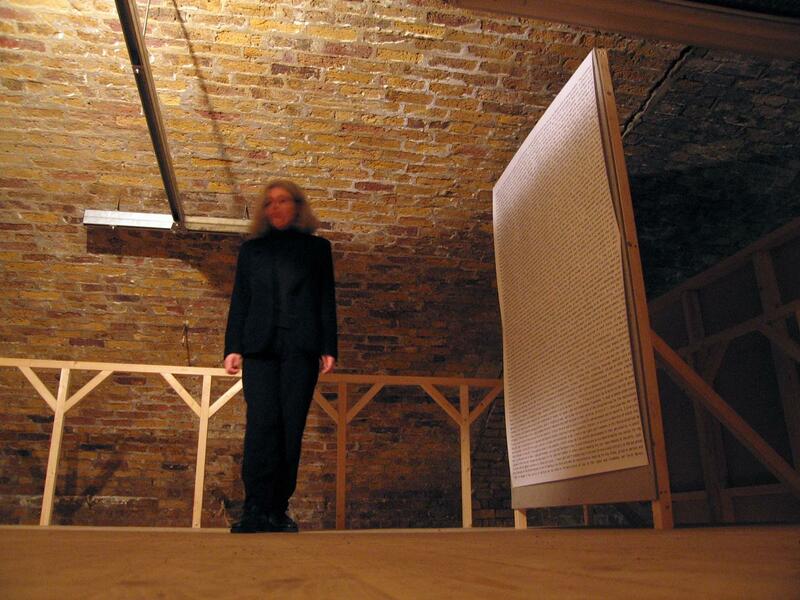 Ross first challenged herself to memorise and publicly recite the Declaration as a response to the shooting of Jean Charles de Menezes by police in London in July 2005 in the solo performance rights repeated—an act of memory at Beaconsfield, London 2005. We built actsofmemory.net in Wordpress, keeping the design minimal to ride out the inevitable stylistic changes in web design over the next half-decade. An Act of Memory in the end was to span nine years and sadly the final performances took place without Monica Ross who died on the very day on which Anniversary—an act of memory reached its 60th and concluding Act at the 23rd session of the United Nations Human Rights Council in Geneva, Switzerland.